Aquarium Heaters There are 4 products. The Eheim Thermocontrol 250W Heater is a precision heater for your fish ensuring they have exactly the right temperature at all times in your aquairum. 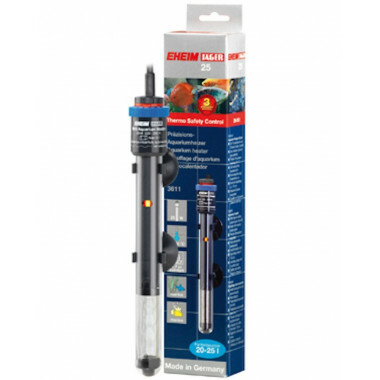 The Eheim Thermocontrol 25W Heater is a precision heater for your fish ensuring they have exactly the right temperature at all times in your aquairum. The Eheim Thermocontrol 75W Heater is a precision heater for your fish ensuring they have exactly the right temperature at all times in your aquairum. The Eheim Thermocontrol 100W Heater is a precision heater for your fish ensuring they have exactly the right temperature at all times in your aquairum.